Catalina Red warms up without a pony before his win in the Grade 2 Churchill Downs Stakes. 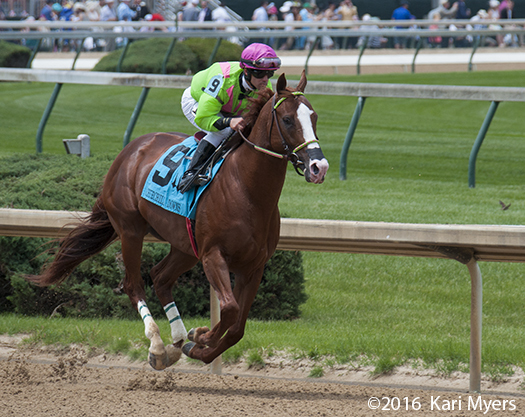 Javier Castellano and Catalina Red, another speedy son of Munnings, won the Grade 2 Churchill Downs Stakes on the Kentucky Derby undercard on Saturday. He wasn’t far off Groupie Doll’s track record, with the two greys–Calculator and Kobe’s Back–behind him to complete the trifecta.